When we look back on the global upstream oil and gas industry from 2000 and onwards, two notable trends can be identified. First of all, despite the strong belief that we will run out of oil combined with global advocacy for new, cleaner energy, the facts demonstrate that 80 percent of today’s g global energy use is still provided by fossil fuels. Secondly, there has been significant diversification of the players in the upstream oil & gas industry, and a countless number of startups have emerged. Many companies that were responsible for the shale revolution or the discovery of large oil & gas fields in Africa in the early part of this century were small companies that were not well-known at the time. Asia, on the other hand, is in a completely different situation. Take Japan as an example. While renewable energy attract the media spotlight and massive investment, the players in the upstream oil & gas haven’t changed for the past several decades: government affiliated companies (INPEX, JAPEX) and small investment arms of mega-industry players (e.g., Mitsubishi, Mitsui, JX, etc) account for all upstream activities. And there are no grass-root startups to speak of. The biggest reason for the complete absence of startups in the Japanese upstream space is probably the belief that there is no room for small players in this business. In fact, all oil and gas projects undertaken by Japanese players have always been huge in size, most of them around USD 100MM or bigger. Also, at their very foundation, they were firmly supported by the Japanese government for the purpose of energy security, one of the longest standing strategic policy of the government. Perhaps it is not surprising that startups could not thrive upon such a foundation. 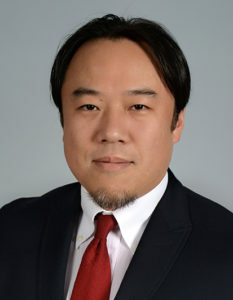 As a result, however, the Japanese upstream industry has developed into an odd community where no one has taken personal risks despite the fact that our industry has a long history in Japan, dating back to the Meiji era and is still able to produce outstanding geologists and engineers to this date. The current situation is very similar in China, Taiwan, S.Korea and other Asian countries. The United States is the very opposite of Asia. Beginning with its inception in the mid-19th century, the US oil and gas industry was built by formidable oil men, individuals who took enormous risks. Today, as the industry flourishes and more and more areas are de-risked, direct investment in oil and gas fields attracts variety of entities, including individuals, Private Equity, trust funds, and, of course, oil & gas companies. There are no reasons why non-US individual cannot participate directly in this success story. Here we are talking about direct investment in selected assets, versus merely buying stock in companies operating in the US. We believe that the biggest obstacle is psychological: assumption that oil & gas investment requires huge capital and governmental support and that only for the government and big corporations can play in this arena. At Hayabusa Energy, we strive to overcome this psychological barrier to open up a new option for international investors. Our vision is for the average income citizen, living outside of the US, to be able to buy rights and interest in US oil and gas fields, just like how it is now possible for foreign real estate investments (e.g., REIT) to be part of an investor’s portfolio. Investing in oil & gas means investing in the very foundation of our civilization. It is realistic, proven, dynamic, innovating, and above all, good for our being. We hope you will join us on this exciting quest.